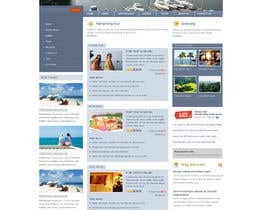 We need a Joomla 3.0 Template for a yachtclub. Our present website is available on [login to view URL] . Task includes to deliver a 100% working template which is just to install. We want to improve the design! Our logotype should be present in any way. See attached logotype file (in low resolution and bad quality so it probably need to be adjusted). Banner in one format should be visible on lower part of startpage. See 4 attached filed for different sizes. Template must work on mobile devices. Design should feel modern and light. Project will be changed to Guaranteed when I see that I have got realistic suggestions. Please not that I need a working template with full functionality. Our present website is corrupted so we are in a hurry! Hello, I' done this layouts some time ago, i think they are clean and nice, unfortunately they are templates for joomla 1.5 but i think that with my help or a professional help they can be converted to joomla 3.0. Please let me know what you think. Thank you!